Makran Coastal Highway : In the progress of a society the network of communication is very important. The construction of roads and highways is an example that a country is progressing. In Pakistan’s history the National Highway Authority has played a vital role in connecting different parts of the country. It has spread a network of highways throughout Pakistan. From Khyber Pakhtunkhwa to Karachi it has laid almost more than 9300 km network of roads and highways. Almost 50 new projects of National Highway Authority are underway. Makran is the part of the province Baluchistan. It is a semi-desert strip which flow across the Baluchistan, the coast Gulf of Oman, and Persian Gulf. It is said that the word “Makran is derived from the word “Maka” which was a province of First Persian Empire. Another saying about the derivation is that it comes out of “Makar” which means sea dragon. The Markan Coastal highway is one of the project of the Pakistan’s National Highway and runs through Baluchistan province of Pakistan. In 2002 General Pervaiz Musharaf inaugurated the project of the Makran Coastal Highway. It is about 653 km long and runs across the costal line of Arabian Sea of Pakistan. 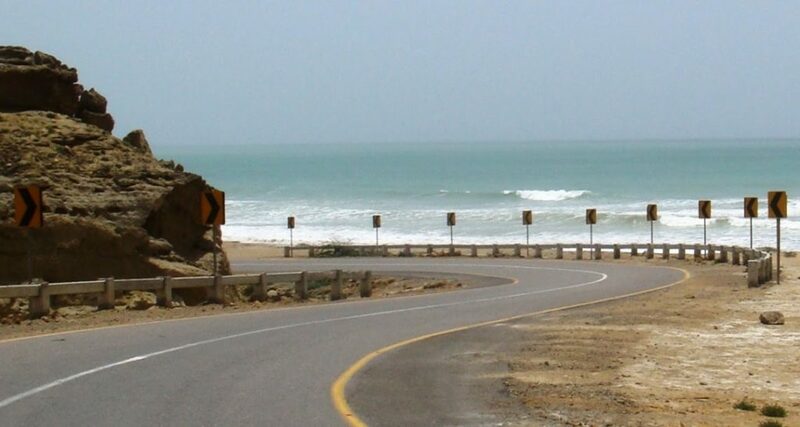 The Makran Coastal Highway mainly in Baluchistan connecting Karachi to Gwadar and also passes near the port towns of Ormara and Pasni. Earlier the road to Gwadar from Karachi was broken and full of dangers which was like a nightmare. The Makran Coastal Highway has made it possible to reduce the tiring journey of Karachi to Gwadar from almost 2 days to 6-7 hours. It was constructed in 2004 and its official and technical designation is Makran Coastal Highway N10. N10 stands for National Highway 10. 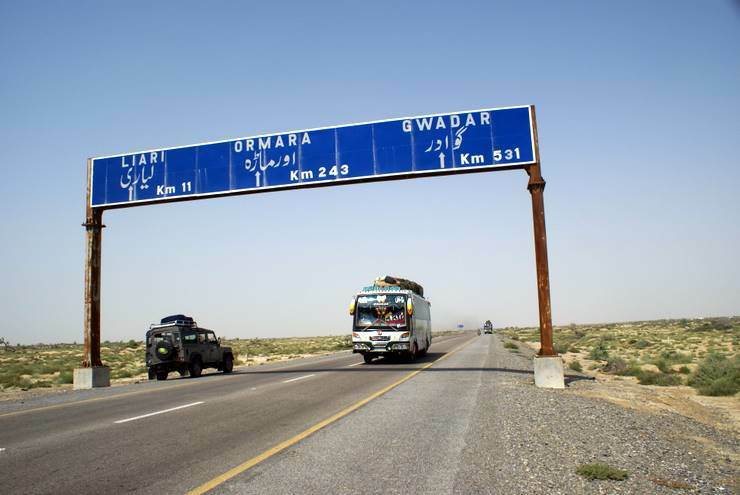 The government of Pakistan started the Makran Coastal Highway project to strengthen the infrastructure and to boost the economy of the coastal line of Pakistan as it can play a vital role in getting Pakistan out of the economic decline. The Government of Perviaz Musharaf paid special attention to the left out areas of the country so that they can compete with the rest of the cities of Pakistan in making the country strong and economic stable. With the formation of the Makran Coastal Highway the transportation from Karachi to Gwadar and vice versa become much easy and comfortable thus again paving route for new era of excellence in the province of Baluchistan. It also gave chance to the seafood of the Ormara, Pasni to sale out to international levels. Frontier Working Organization was given the contract for the construction of this highway. 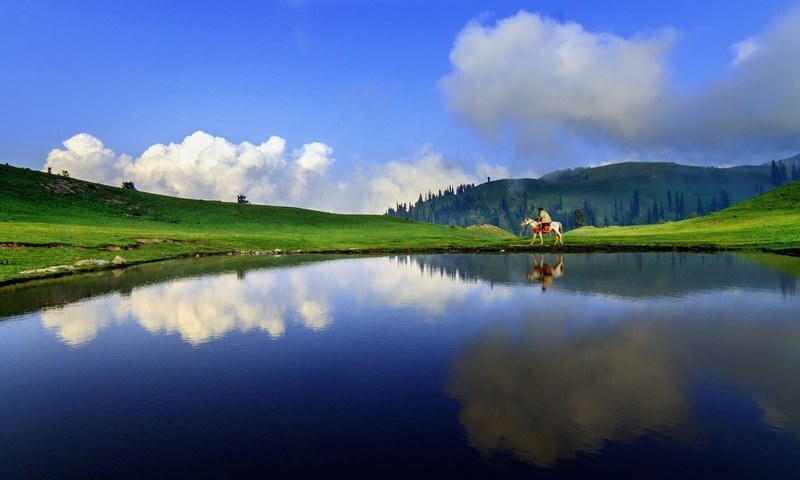 Section 1 consist of about 222 km from Liyari to Ormara. The inhabitants of this area were mostly fishermen. Pakistan Navy important base “Jinnah Naval Base” is also situated in this area. The construction contract of this section was given to Frontier Working Organization. The 152 km long Makran Coastal Highway from Ormara to Pasni forms the Section 2 of the Makran Coastal Highway. It is further divided into three sub-sections, each section was given to a different private construction company. These companies were AL-Khan Construction Company, Sadar Muhammad Ashraf Baloch Contruction Company, and A.M construction Company. 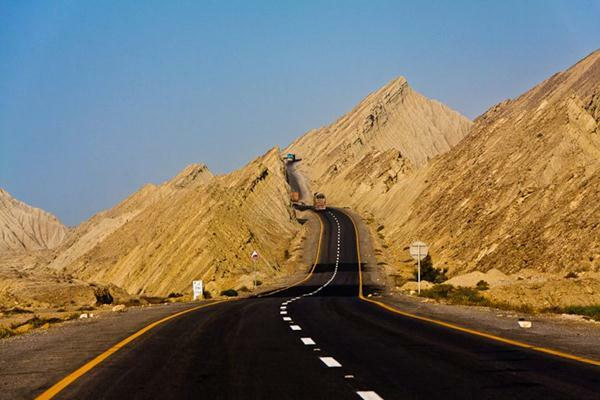 Section 3 of the Makran Coastal Highway extends from Pasani to Gwadar and is 145 km. This section was constructed by Frontier Working Organization. The Makran Coastal Highway was completed 4 months earlier before the expected date. The construction of the Makran Coastal Highway was not easy. It was an adventurous and life threating task. The mountains of the Aghore were very difficult to cut and to carve out a road but the brave sons of army do it with ease. The construction of this highway is according to international standards and has been constructed with the local resources. It is very durable and can bear any extreme weather. It has almost 65 bridges, out of which the longest bridge if of Shakidor. The Shakidor Bridge is about 325 km long. The Shakidor Bridge on the Makran Coastal Highway got its name from the Shakidor dam which is constructed near Pasani to provide clean drinking water to the people of Pasani. The people living along the Coastal Highway are very traditional and cultural. Their main occupation is fishing. Marine food is the chief food of the people of this area. Beside this the people also rear cattle. The people of Makran are used to sever weather conditions as they live in mountains. Although the Makran Caostal Highway has provided them a better opportunity for travelling but still there are areas which is out of reach of this highway which compel people to travel through camels. This highway has provided the local people to sell their fishes in Karachi and to earn a good amount. The Makran Coastal Highway is rich with wonders of natural beauty throughout the way. 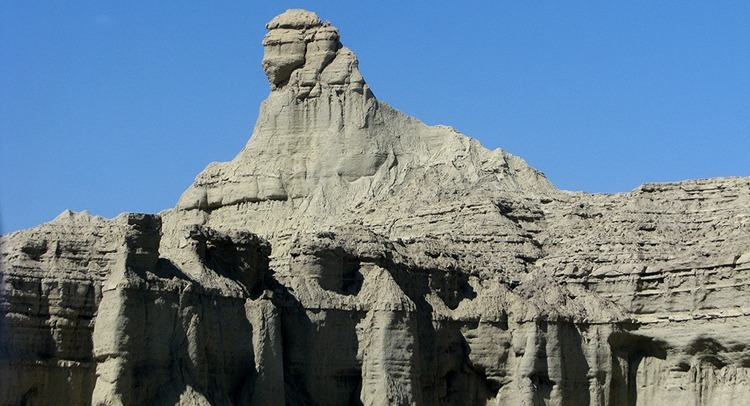 From the zero point at about 271 km is the Hingol National Park which is the largest national Park of the Pakistan. From Ormara onwards till Talabat khor the beautiful forest of Timar can be seen. In this coastal area about 2500 rector areas has the forests of Timar which is home to many different kinds of fishes. Besides rearing the variety of fishes these tress also help in stopping and reducing the intensity storms from the Arabian Sea. After the construction of Makran Coastal Highway it has been easy for the tourist to come to these areas. The island of Stola is another wonder which is worth seeing and has a variety of things to be discovered. The famous Mandar of Hindu community known as “Nani ka Mandar” is also located on the Hungo Bridge which is constructed on Hingol River. 50 km from Hungo Bridge on the Coastal Highway is a series of Mud Mountains which are craved by the nature in such way that is adorable. 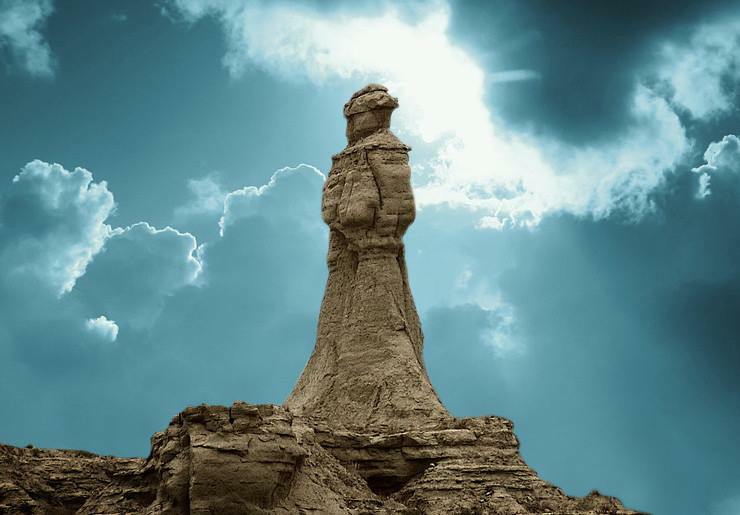 One such sculpture is of a woman which was named “Princess of Hope” during the construction of the Makran Coastal . The famous sphinx of Egypt is also nearby the Princess of Hope. The famous Kund Malir Beach is also located on the Coastal Highway which is a desert beach. This highway has proved a milestone in the development of Baluchistan as well as in Pakistan. It has connected Baluchistan with other provinces of the Pakistan.